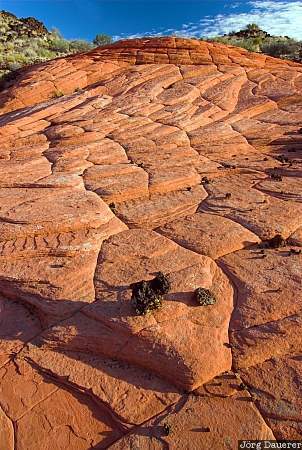 Sandstone pattern illuminated by soft early morning light in Snow Canyon State Park near St. George. St. George is in southern Utah in the western part of the United States. This photo was taken in the morning of a sunny day in late October of 2006. This photo was taken with a digital camera.